Alanis Morissette's 1995 classic Jagged Little Pill is one of the top-selling albums of all time, and with it celebrating its 20th anniversary this year, the record is set to get a lavish reissue. This Collector's Edition will be out on October 30 through Rhino. The four-disc set contains a new master of the original album, a disc of previously unreleased demos recorded between 1994 and 1998, an acoustic version of the album (made for the album's 10th anniversary in 2005), and a previously unreleased live show from 1995. That's what it looks like above. In addition to the stacked Collector's Edition, a two-disc Deluxe Edition will also be available, containing the remastered album plus the demos. The packages come with various never-before-seen photos and ephemera. Digital editions will also be available. "I'm super excited to share this music with a whole new generation of peeps, as well as people who have grown along with me over the last two decades," Morissette said in a statement. "Thankfully, these songs have stood the test of time for me, and in their timelessness, I am thrilled to honour and reflect on them as well as the last twenty years of my life and career." The album's producer Glen Ballard oversaw mixing and mastering on this new edition. He said, "Twenty years has not diminished the energy and excitement we captured on these recordings from 1994. It's been a joy to sit with these tracks after two decades and to find them in such good shape. The power of digital recording gives us this time machine and, although we are twenty years older, this music still sounds fresh!" See the tracklist below. Note that, of the new demos, "The Bottom Line" is the most historically significant, being the first song that Morissette and Ballard recorded together. 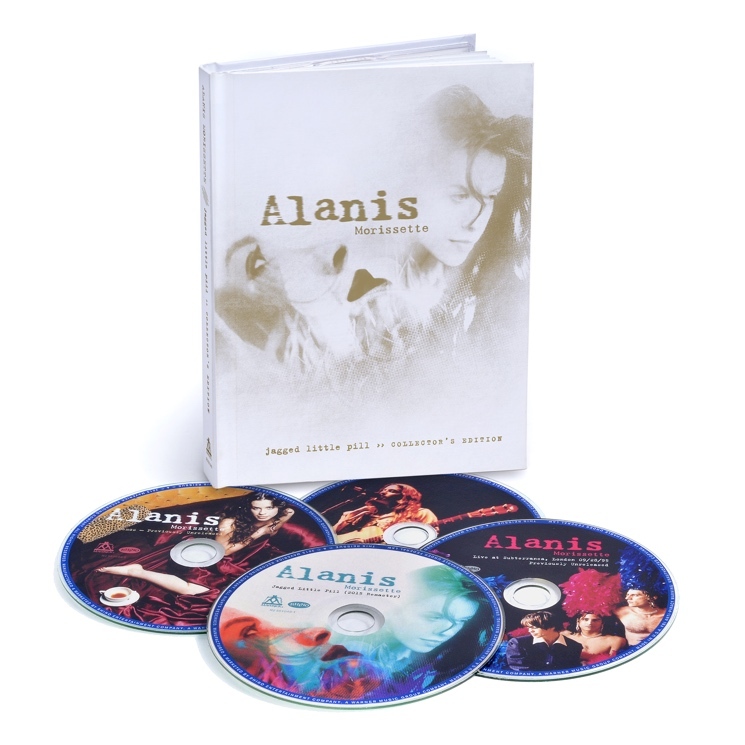 Other tracks from the early sessions include "Superstar Wonderful Weirdos" and "Closer Than You Might Believe," while slightly older songs like "King of Intimidation" and "Death of Cinderella" were made after Alanis had already hit in big.